The Deuce may be coming to an end this fall, but HBO is committed to staying in the David Simon business (for good reason). For his next limited series, the creator of The Wire is tackling an adaptation of Philip Roth’s The Plot Against America, and according to Variety, he’s assembling another excellent ensemble stacked with talent. 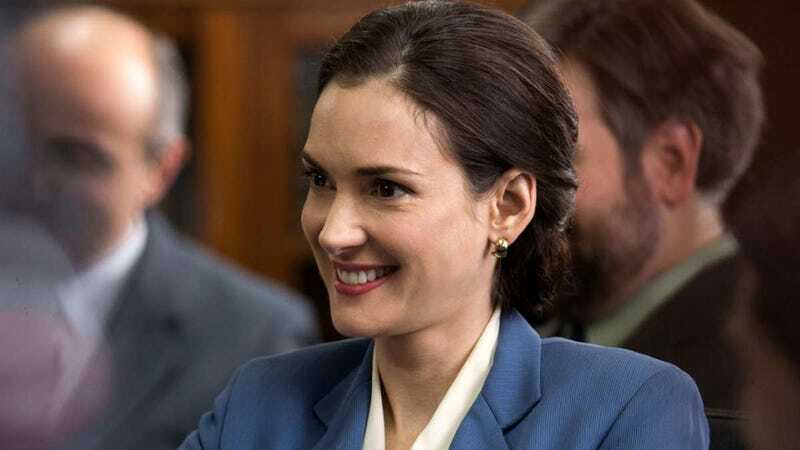 Winona Ryder, John Turturro, Zoe Kazan, and more have signed on to lead Simon’s six-part series, which is set in “an alternate American history” that shares some eerie similarities with our current hellscape. ...the six-part series will imagine an alternate American history told through the eyes of a working-class Jewish family in New Jersey, as they watch the political rise of Charles Lindbergh — an aviator-hero and xenophobic populist, who becomes president and turns the nation toward fascism. Ya don’t say. In addition to reuniting Simon with Ryder (Show Me A Hero) and Kazan (The Deuce–though hopefully she’ll have more to do on this series), The Plot Against America will also star Anthony Boyle (Harry Potter And The Cursed Child), Morgan Spector (Homeland), and newcomers Azhy Robertson (Juliet, Naked) and Caleb Malis. David Simon pens anti-Twitter opus, calls its CEO "a fuckbonnet for our time"